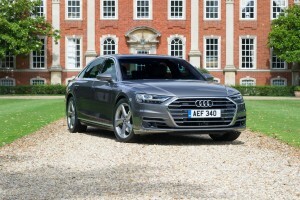 The specification has been confirmed for the new Audi A8 which will be, the firm says, a ‘game changer’. The fourth generation luxury saloon is available to order now with deliveries heading to the UK early next year. As well as a new design language, the A8 has a new touchscreen and a new drivetrain. The excellent Audi A8 will also feature the roll-out of the firm’s autonomous parking pilot as well as traffic jam pilot functions and a garage pilot. Audi says the aids are a world first for a production car with the A8 being developed for automated driving from next year. The firm adds that it will begin introducing various driving functions into the production vehicle after the car’s launch as well. Also, the new vehicle is longer than its predecessor, as all Audis are, though this equates to a larger cabin which has been well-designed and features plush upholstery. The new instrument panel features a 10.1 inch touchscreen which will be invisible when turned off as it merges into the high gloss black surround. 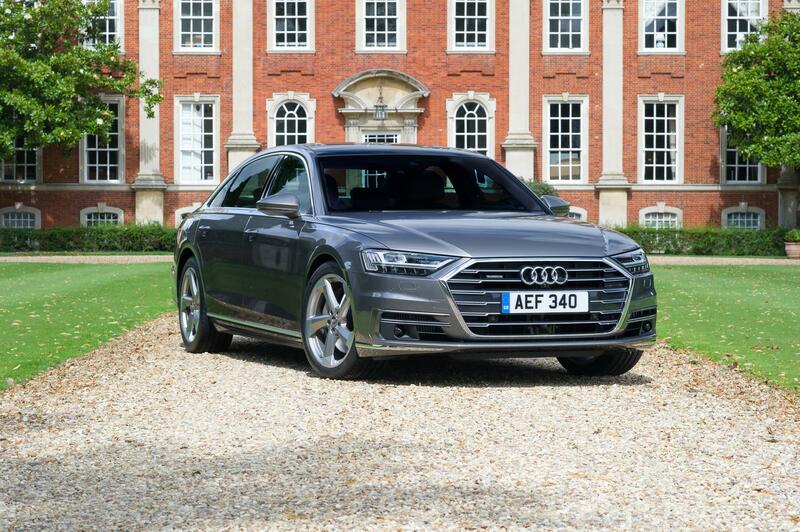 Engines for the Audi A8 include two V6 turbo units; a 3.0 litre TDI engine and a 3.0 litre TFSI engine with the diesel unit producing 286 PS and the petrol engine developing 280 PS. There’s also a 4.0 litre TDI unit available producing 435 PS which will be available later next year and there’s also an exclusive range topper in the 6.0 litre V12 engine. All four engines will work with what Audi terms as a ‘mild hybrid technology vehicle’. This means the car will coast with the engine switched off and able to restart smoothly with its extended start-stop function. These fuel saving measures will make the efficient engines even better by saving 0.7 litres for every 62 miles covered. A new e-tron quattro plug-in hybrid drivetrain will also be unveiled in 2018 for the A8. The infotainment system features an excellent satnav which will learn from the routes the car drives and will offer intelligent search suggestions for alternative routes. Indeed, the UK spec has a long list of standard kit including the firm’s fully digital virtual cockpit, a colour head-up display and Audi’s wireless smart phone charging. As should be expected, the A8 will offer excellent levels of handling and performance with a new platform featuring standard adaptive air suspension and the firm’s all-weather, all-wheel drive quattro being offered as standard. The Audi A8 will cost from £69,100 OTR. This entry was posted in Luxury Cars and tagged Audi A8 by Steve Lumley. Bookmark the permalink.